There won't be any physical confrontations during the upcoming fight week for Floyd Mayweather vs. Conor McGregor - or at least that's what the Nevada State Athletic Commission is hoping will happen. Mayweather, 40 years old, is coming back from a two year retirement stint to face the UFC's biggest star, McGregor, in a boxing match. 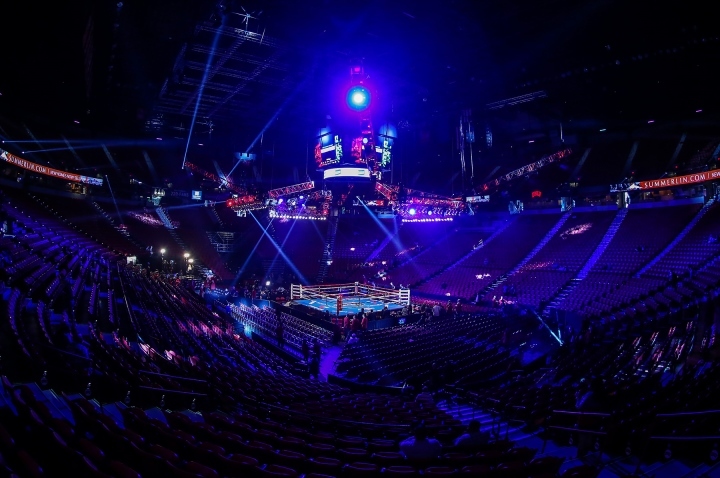 The bout will take place at the T-Mobile Arena in Las Vegas. McGregor is no stranger to physical confrontations. He paid a fine earlier this year for a confrontation with Nate Diaz during one of their 2016 press conference, where plastic bottles were thrown. McGregor paid a reduced fine of $25,000 for the incident. During the four city press tour to promote the fight, Mayweather and McGregor - and their factions - had to be separated more than once. The Nevada Commission has issued warnings to both sides - to avoid any physical incidents during fight week. "It wouldn't be in [Mayweather and McGregor's] best interest to put their hands on each other, and they both know that," NSAC chief Bob Bennett told Sky Sports. "Both of them are professionals that know the repercussions from inappropriate behaviour. I don't expect either one of them to get into any physical altercation. The contest is taking place at the junior middleweight limit of 154-pounds. The two fighters receiver permission earlier this week to use 8-ounce gloves for the contest. Pursuant to Nevada State rules, any sanctioning boxing match above the welterweight limit of 147-pounds would require the use of 10-ounce gloves. Last week the commission approved the request, made by both boxers, for 8-ounces. The ruling did not go over very well with the media, who felt the commission caved in due to the magnitude of the event and the revenue this contest stands to generate for the city. [QUOTE=larryxxx. ;17970371][/QUOTE] Lol that's my favorite video to show when them MMA fans get to talking crazy. How do you post the videos like that bro?